Today Vermont Attorney General T.J. Donovan issued recommendations to the Vermont legislature to enable law enforcement agencies to better protect immigrant communities. Attorney General Donovan also called for robust trainings for law enforcement in hate crime and bias incident investigation and implementation of the Fair and Impartial Policing Policy (FIP). “My mission as Attorney General is to increase public safety and access to justice,” Attorney General Donovan said. “Vermonters need to be able to trust that state and local law enforcement will work hard to protect them, regardless of where they are from. We are all Vermonters.” The Attorney General said to achieve this goal local law enforcement cannot be effectively deputized as federal civil immigration agents. 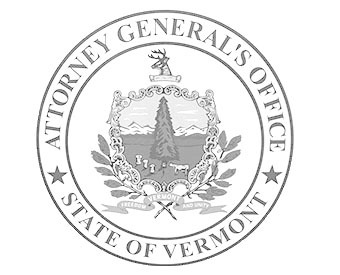 The Attorney General recommended amendments to Vermont Act 54 that would allow local law enforcement agencies to extend additional protections to immigrant communities. In 2017 the Vermont legislature passed Act 54 requiring standardization of Fair and Impartial Policing policies around the state and establishing the Racial Disparities Panel. The Racial Disparities Panel is charged with addressing systemic racial disparities in statewide systems of criminal and juvenile justice. In addition, the Attorney General recommended legislation to empower state and local law enforcement agencies to more closely control their officers’ communications with immigration authorities. This legislation would go into effect if existing federal statutes currently restricting that discretion are ruled unconstitutional or repealed by federal legislation. In addition, the Attorney General’s Office will develop and deliver, in partnership with the Vermont State Police FIP Unit, advanced training in hate crime and bias incident investigation and reporting. The Attorney General’s Office will also provide trainings in the implementation of the FIP policy, with an emphasis on immigration and underrepresented communities. For these trainings, rather than require officers to travel to the Vermont Police Academy in Pittsford, the Attorney General’s Office and the Vermont State Police will instead travel to local law enforcement agencies to make it easier for law enforcement agencies to attend trainings. The Vermont Criminal Justice Training Council, along with the Attorney General, and working in consultation with the ACLU of Vermont, Human Rights Commission, and Migrant Justice, authored the Fair and Impartial Policing policy to defend the rights of all Vermonters, ban biased policing, and strongly protect immigrant communities.